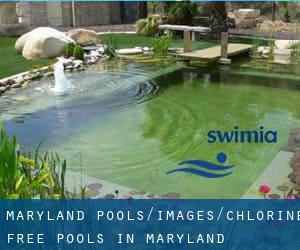 Please have a look to the Chlorine Free Pools in Maryland swimmers like you might have reported. Is your pool not listed? Contact us to ADD IT. It is totally free! Please check the nearest Swimming Pools or Contact us to ADD IT. It's free! Most in the Chlorine Free Pools in Maryland deliver both open lanes for independent swimming and also guided activities like water aerobics or aquabike. There are frequently discounts available to senior citizen and small children. Find out by contacting your nearest pool in Maryland. Please, use the contact data provided at every pool profile. Regular users told us the most important thing of swimming is always to control your breathing. To get this, our head should really be aligned with our spine all the time. Holding an estimated population of 99.615, Columbia is one of the most important cities in Maryland. Check all the Swimming Pool in Columbia and its surrounding area. Without a shadow of a doubt, swimming in Germantown may be the ideal solution to unwind right after function. Take a couple of minutes to browse Swimia's catalog to find a Swimming Pool in Germantown. Swimming is usually a outstanding concept to keep your body active for the duration of your visit to Baltimore (Maryland), or perhaps if you're a local. 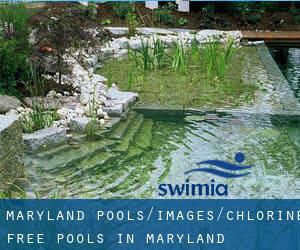 Swimia helps you to find your closest Swimming Pool in Baltimore. Whereas Silver Spring is one of the six most populous cities in Maryland with almost 71.452 residents, you shouldn't miss that one if you're going to Maryland. 3401 Boston Street , Canton , Baltimore , MD , USA (Postal Code: 21224). Among all the activities offered by the center, for anybody who is interested in swimming you will enjoy 25 meters, 4 lanes, Non-Chlorine Sanitized, Indoors. Just in case you desire to get in touch with this Pool before dropping by, we only know the phone number. 655 President Street , Harbor East , Baltimore , MD , USA (Postal Code: 21202). Among all of the activities offered by the center, for anybody who is enthusiastic about swimming you'll appreciate 25 yards, 4 lanes, 3.5f - 4.5f depth, Non-Chlorine Sanitized, Indoors. Just in case you need to contact this Swimming Pool just before dropping by, we only know the phone number. 1115 Eppley Recreation Center , University of Maryland Campus , College Park , MD , USA (Postal Code: 20741). This great and large sports center lets professional swimmers like you enjoy Olympic size x 25 yards, Non-Chlorine Sanitized, Indoors. Additionally, within these facilities you can try 25 yards x 25 yards instructional pool, Non-Chlorine Sanitized, Indoors. Unfortunately we do not have the email address of this Swimming Pool, but we can give you the phone number.